The Department of Journalism welcomes a guest lecture by Gerard Baker, Managing Editor, The Wall Street Journal and Editor-in-Chief, Dow Jones & Company. 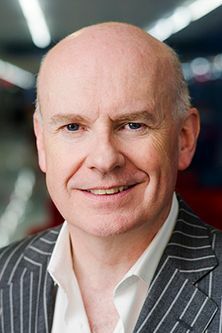 Gerard Baker is Editor in Chief of Dow Jones and Managing Editor of The Wall Street Journal, a role he assumed on January 1, 2013. Prior to his appointment as Editor in Chief, Mr. Baker served as Deputy Editor in Chief of The Wall Street Journal and Dow Jones Newswires, with responsibilities across the full spectrum of the company's journalism, including the print and digital editions of the Journal as well as Newswires. Before joining the Journal, Mr. Baker was the U.S. Editor and an Assistant Editor of The Times of London, where he wrote news and commentary for Britain's longest continuously published newspaper and oversaw U.S. coverage for the paper and online editions. From 1994 to 2004, Mr. Baker worked for the Financial Times, first as Tokyo Correspondent, where he wrote about the country's financial crisis, and then, from 1998 to 2002, as Washington Bureau Chief, where he led a team of 10 correspondents and provided extensive reporting and analysis of the Federal Reserve. From 2002 to 2004, he was the FT's Chief U.S. Commentator and an Associate Editor. Before joining the FT, Mr. Baker worked for the BBC from 1988 to 1994, as a producer, then as U.S. producer, and finally as Economics Correspondent for TV and radio. In addition to the Journal, the FT, The Times and the BBC, Mr. Baker's work has appeared in many other publications, and he has been a frequent television and radio contributor in the UK, the U.S. and around the world. Mr. Baker started his working life in the financial sector, first as an analyst at the Bank of England, then as an economist at Lloyds Bank in the City of London. He was educated at Corpus Christi College, Oxford University, where he graduated in 1983 with a First Class Honours Degree in Philosophy, Politics and Economics.